Institute of Health and Society, University of Oslo, Oslo, Norway. Department of General Practice, Institute of Health and Society, University of Oslo, Oslo; HØKH, Research Centre, Akershus University Hospital, Lørenskog, Norway. HØKH, Research Centre, Akershus University Hospital, Lørenskog; Institute of Clinical Medicine, Campus Akershus University Hospital, University of Oslo, Nordbyhagen; Department of Neurology, Akershus University Hospital, Nordbyhagen, Norway. 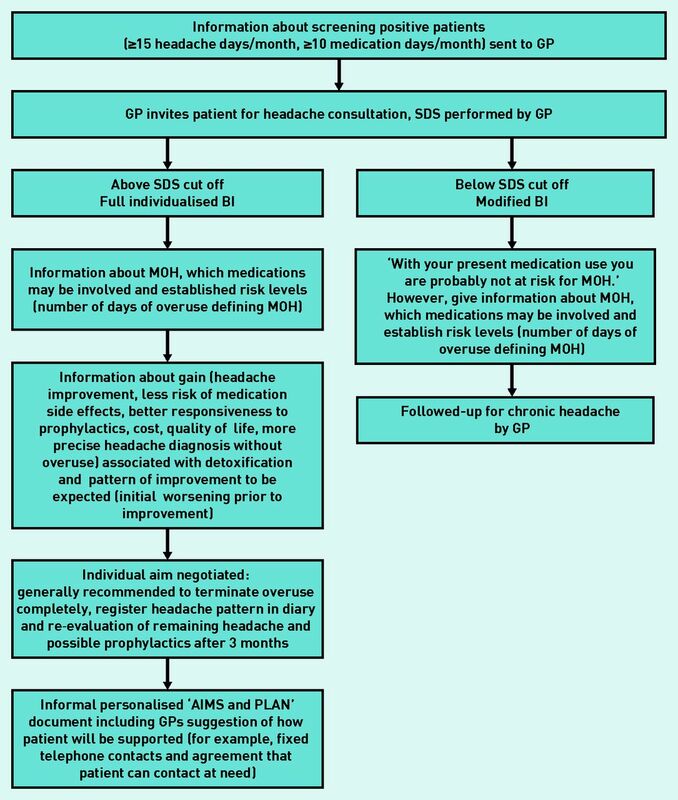 Clinical workflow for the Brief Intervention for Medication-Overuse Headache (BIMOH) study. SDS = Severity of Dependence Scale.